The Dallas Cowboys Great Again? David Irving Talented And Troubled! David Irving is an extremely talented defensive tackle slash end.I hoped he could have played a full season in 2018 but that was not meant to be.When on the field this guy can be completely disruptive for the opponent.Irving missed all of training camp taking care of a personal matter and only played in two games before suffering a high ankle sprain in early November. 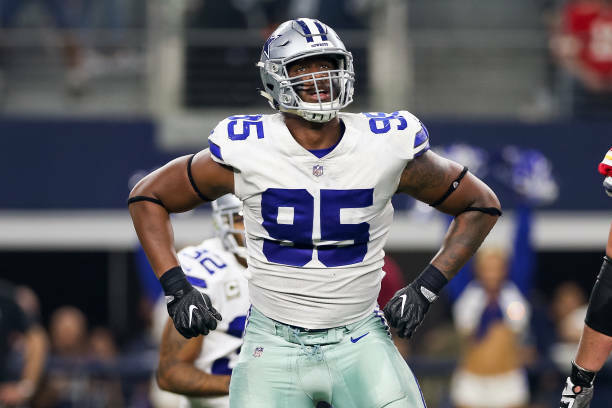 The "Boys" definitely could have used his furious play last season.David Irving Is now a free agent and it's not clear if the Dallas Cowboys are going to bring him back. I think one off the biggest needs for the "boys" this off season is a BIG defensive tackle.Whether it be in the draft or free agency the Dallas Cowboys need a stud in the middle.They have a solid defensive line but they might not resign David Irving and Maliek Collins is often hurt.In the draft the Cowboys don't have a pick until the second round where they can find a very good tackle.Remember signing a rookie means you won't have to pay much while they are on a rookie contract.In free agency their are a few nice stud tackles out there.The key with free agency is to sign one of these guys without breaking the bank. I am hosting this sports blog on the Dallas Cowboys because I am a big fan. The main reason is because I want to get opinions from people all over the world, I know that not everyone likes the Cowboys and that makes for good debate. Work With Rich on Facebook!